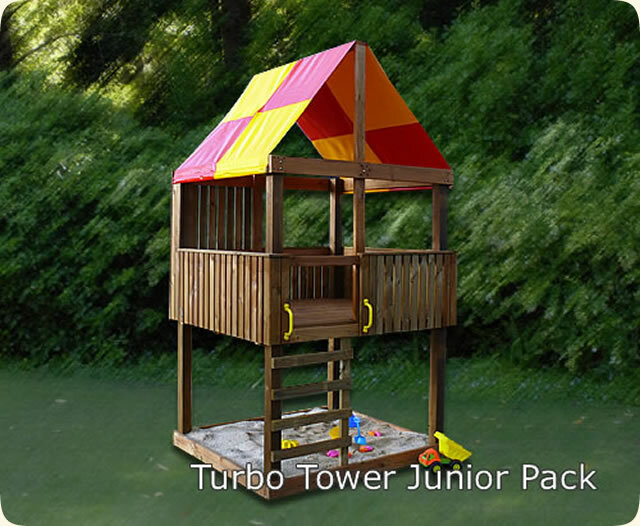 At last the new Turbo Tower Junior Pack has arrived after many requests a rugged outdoor play center for your own back yard! These fantastic Turbo Towers are a new range of cubby houses introduced this year in a DIY form you can also change the color of the slide and roof to blend in with your back yard all the timber used is acq treated and does not contain arsenic! and is a totally kid friendly play centre. Size 1800 x 1500, approx 3m height this is the easiest cubby in the range to build as all the timber is pre-cut and ready to assemble with lots of step by step plans and photos to follow makes it easy to build The newTurbo Tower Junior Pack is a great base camp for all those dreams and imagination to run wild for years to come. 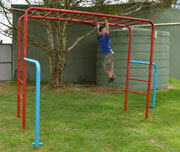 Watch this website for many more Turbo Tower cubbies are coming soon. Remember we deliver Australia Wide twice a week! If you would like some more information you can call us on (08) 9853 2992 for friendly helpful service ! SO LETS GET THE KIDS OUTSIDE TO PLAY ! THE AUSSIE WAY !